That magical moment that you have been waiting for has finally happened. Your significant other proposed and YOU SAID YES! Or you proposed and YOUR SIGNIFICANT OTHER SAID YES! You both have your wedding goggles on and all you can see are hearts and rainbows and as you start to plan the wedding, romance is in the air and the love is palpable. You set the date. Your friends and family then save the date. The flowers have been ordered. The wedding planner is pulling everything together. And then one of you dares utter the “P” word. The record stops and the world goes silent and time stops and you wonder if you really heard what you thought you heard. Or if you are the one who brought it up, you wonder if it’s too late to slur your words so they sound like something else. And then you avoid eye contact. Everything is awkward and weird and you might both feel the romance of the entire process has been ruined. If you are getting married and one of you has brought up the dreaded “P” word (or you secretly want to but are afraid of being unromantic, or are afraid your partner will leave you, or don’t want to sound like a total scumbag) don’t panic just yet. 1. There is a good time to talk about it, but it’s not the week before the wedding! Waiting until the last minute to talk about it is not a good idea. Generally, the sooner you bring it up, the better. Maybe a friend suggested a prenup when you told her you’re engaged. Maybe a family member has drilled it into your head ever since you can remember. Whenever the idea may have come up, the sooner it is discussed the better. A prenup will have greater legal validity if it was negotiated and signed a reasonable amount of time before the wedding. Springing a prenup with only a week before the wedding won’t allow either party to take time to process the request. Give yourselves enough time to think and go through the process together. 2. Think of it as part of planning your future together. As stereotypically unromantic as it sounds, when you strip the word “prenup” of the emotion associated with it, the prenup itself is just another tool to help you plan your future. Consider how valuable it is to be able to do this together. 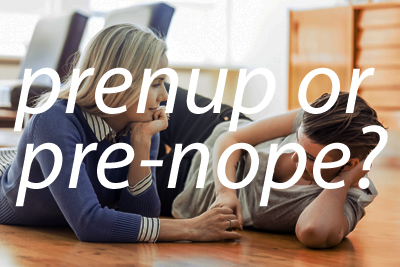 Humor me here – but discussing your prenup together might even bring you closer together as a team. Like planning where you’ll live together, or discussing how you might raise children, the prenup discussion is about planning a life together thoughtfully. 3. Think of it like your other insurance policies you have – you probably won’t need it, but it’s nice to have just in case. Another positive side of prenups is that you get to plan your worst case scenario before you are in the middle of your worst case scenario. It is much easier to discuss planning for a possible separation while you are coming from a place of love, than it is to attempt discussion when you are coming from a place of anger or sadness during an actual separation process. People don’t expect the worst-case scenarios to actually happen, but responsible people have a plan for a “just in case” moment. It is so much better to have a plan now, when you are in a good place together, just in case you need to discuss these topics later. 4. It protects your inheritance and business assets that you may not be focused on now, but may be important later on. Do you have your own business? A prenup can help protect against the liquidation of the business to pay for divorce or protect your ex-spouse from claiming the business in the divorce. Non-monetary contributions during marriage or investments you’ve made using your own decision making skills are often overlooked. 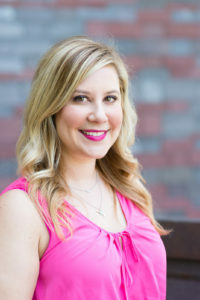 An attorney experienced in drafting prenups will help you brainstorm about these types of things – the things you might not think of as a big deal in the moment but which could become a big deal during a divorce. This also includes things like retirement assets, licenses, and other things with sentimental value. If you put some thought into this before the unlikely situation where the you-know-what hits the fan, you don’t have to worry about ruminating over it later. 5. Set aside your own savings to use as you please. Typically, any money accumulated during the marriage is considered a marital asset, which means it belongs to both of you, no matter who made or saved the money. Marital assets are included in property division in the divorce. A prenup can give you the ability to set aside your own savings and have it not be considered marital property, so it is all yours! At the very least, it’s a good idea to have a conversation about how you both intend to share money and what will be considered separate or joint before you get married. People often have very different ideas about the handling of money and it can be a major stressor on a marriage. 6. Remarriage issues and other children. If this is a second marriage for either of you, a prenup can help allocate college expenses for children from a previous marriage and also make sure your inheritance is distributed according to your wishes. 7. Keeps you both in control. 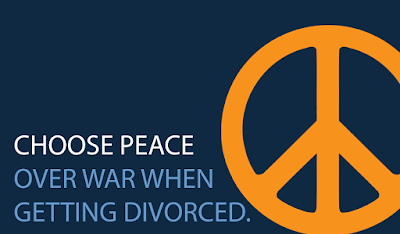 It is true that a majority of divorces settle without going to trial. However sometimes there are still many court hearings and the possibility of litigation. By having a prenup in place, you remain in control of what you want to happen if you get divorced, instead of a crap-shoot with the court. A prenup also gives your mediator or attorneys a framework from which to start the documents that will be submitted to the court for your divorce. The bottom line is that there is a delicate balance between being true to yourself and to your partner, and nobody knows the two of you better than the two of you! By separating the emotional connotation of a prenup from the benefits of having one, both of you can plan together now to avoid future conflict later. And once it’s done you can focus on your special day and move forward knowing that if you can do a prenup together, you can probably tackle anything life will throw at you, together.